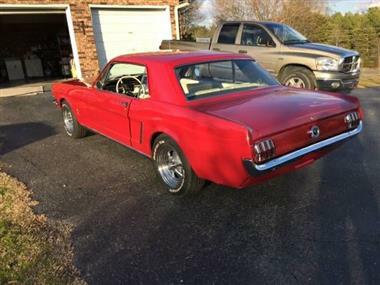 1964 Ford Mustang in Contact For Location, MI for sale. Price Analysis: Good Deal, 16.0 % below market avg. What's this? 1964 Ford 1/2 Mustang Candy apple red with white pony interior. Restored, excellent condition.. New rebuilt 289 Engine with less than 100 miles and existing manufacturers warranty. New A/C, Power steering, radio, radiator, shocks, rear brakes. Been stored indoors. Price Analysis for 1964 Ford Mustang. 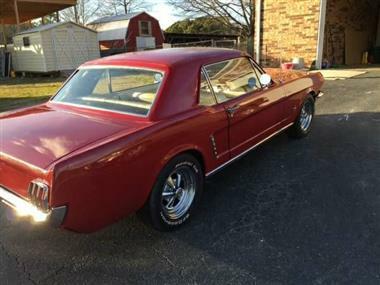 This vehicle is priced $6,002 less than the Average Market Price of $36,997 for a 1964 Ford Mustang. This is a Good Deal as it's priced 16.0 % below market avg. The Pie chart below shows the number of ads within different price ranges.